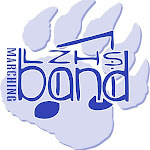 Lake Zurich HS Band: Do Hard Things! A new year of school is upon us. My motto for the year comes from a book I've been reading about two teenagers who write about "the Myth of Adolescence" The book (and my motto) are "DO HARD THINGS." In other words, I'm trying to encourage students to have higher expectations for themselves and to try things that they don't think they can do. How often do we work toward goals that we feel are unachievable, only to find that we can do it. George Washington was leading troops prior to the Revolutionary war when he was 14! The word teenager did not appear until the 1940s. Prior to that kids went straight from youth to adulthood.